First introduced as part of the Water Festival Event, with Magikarp and Gyarados, Shiny Pokemon in Pokemon Go have grown to include dozens of babies, base levels, and evolutions, from Absol to Wynaut. Here's the complete list of shiny Pokémon as of right now, and how you can catch 'em all! Singapore Safari Zone brought out Shiny Shuckle and Lapras, and now they've gone international. We are excited to announce that Shiny Meltan is back for a limited time! Meltan, a mysterious and rare Pokémon, only appears when the Mystery Box is opened in Pokémon GO. If you're lucky, you may encounter Shiny Meltan when you open the Mystery Box from Wednesday, April 24, at 1:00 p.m. PDT until Sunday, May 5, at 1:00 p.m. PDT! The key to catching Meltan is the Mystery Box, which can be obtained by sending a Pokémon from Pokémon GO to the Nintendo Switch titles Pokémon: Let's Go, Pikachu! or Pokémon: Let's Go, Eevee! Until now, Trainers had to wait seven days after opening the Mystery Box before opening it again. Starting Wednesday, April 24, at 1:00 p.m. PDT, you'll be able to open the Mystery Box once every three days, making it easier to get Meltan! Don't miss your chance to evolve Shiny Meltan into Shiny Melmetal! Start collecting those Meltan Candies, Trainer! Also, unexpectedly, the Jigglypuff family has also gone Shiny for event. It's Latios' turn for a Legendary Raid Week, and that means it's also his chance to go Shiny! April's community day brings the Shiny Dragons. As part of the first ever Bug Out event, the original big Pokemon Bug, Scyther, is going Shiny. While, yeah, it's still green, Scizor switches from red to green to join the fun! Good news, the equinox Pokemon are now available in Shiny form. Bad news, they switched before going Shiny so you'll still need to travel... or wait a year, to try and get both! Shiny Latias is swooping in to join Palkia in Tier 5 Legendary Raids from February 22 until... March 1 now. They just increased it from a last minute weekend thing to a last minite rest-of-month-thing. Happy Valentine's Day! Now go hatch a Shiny baby and catch a Shiny fairy! It's the Year of the Pig and Pokemon Go is celebrating with Shiny Spoink and Shiny Grumpig. Because of course they are. For the first time, Pokemon Go is making a new Shiny Pokemon available via a 3-hour, Community Day-like window... of field research. North America begins at 11am PT / 2pm ET, just like Community Day. Early reports from Europe, however, suggest that tasks aren't everywhere, are annoying to complete (10 great throws, 15 nice throws, earn a buddy candy, hatch an egg) and the Shiny rate is low. Given how well the Squirtle Squad field research worked a few months ago, that's another disappointing regression from Pokemon Go. No word yet on how long they'll have increased spawn or shiny rates, so catch 'em fast! Harden! Harden! That's the sound of Shiny Caterpie, Metapod, and Butterfree kicking off a November of bugs! Last year, the Gen 3 Ghosts put on their Shiny customers of halloween. This year, it's the Gen 4's turn. Well, two of them at least! The first wave of Gen 4 Pokemon has just hit Pokémon Go and, as part of it, Shiny Shinx can now be caught in Raids. The odds are still low, and getting candy just from Raids (or Rare Candy) makes evolving though, but it's out there so go get it! October 11, 2018: Shiny Nido are here... but only the females! To coincide with it's just-announced Psychic Event, Pokémon Go is releasing two of the original Psychic Kanto-region Pokémon in Shiny form. October 1, 2018: Pokémon Go's watery October has brought out Shiny Krabby and Kingler. First, starting September 13 at 1:00 P.M. (PDT), Trainers all over the world will be able to encounter three Legendary Pokémon originally discovered in the Kanto region!. Articuno, Zapdos, and Moltres will appear in Raid Battles until September 20. And if you're lucky, you may be able to encounter their Shiny forms! Also, Pokémon originally discovered in the Kanto region will appear more frequently all over the world and show up more frequently in Raid Battles until September 30! If the challenge is completed, Trainers worldwide will receive up to five free Raid Passes for Moltres Day, which features the Legendary Pokémon Moltres! On September 8, Moltres will be available in Raid Battles around the world for a three-hour period and will know the Flying-type move Sky Attack. If you're lucky, you may be able to encounter a Shiny Moltres! Find a Growlith nest or the Field Research Task "Use 10 Berries on Pokémon" for a Growlith encounter. With the launch of Celebi's A Ripple in Time Special Research and the accompanying Johto Event, three new Shiny Pokémon have been released, along with their evolutions. In what's potentially the biggest Shiny-fest yet, Eevee and all its current Eeveelutions will be making their Shiny debut as part of the August 11 & 12 Community Days. In addition to completing Field Research tasks provided by Professor Willow, Trainers all over the world will see increased appearances of the Grass- and Poison-type Pokémon originally discovered in the Hoenn region, Roselia! Perhaps you'll have a chance at catching a Shiny Roselia sprouting purple flowers. And it's delivered. Shiny Roselia is now available in the wild. Catch one if you can! The second annual Water Festival has just gone live and, with it, Shiny Shelder, Cloyster, and... Kyogre! Some lucky Trainers may even encounter a rare Shiny Shellder for the very first time during the event! And, if you challenge Kyogre during the event and come out victorious, there is a chance you'll encounter its Shiny form! April 24, 2018: Earth Day releases the Leviathan! Er... Shiny Wailmer and Wailord! April 1, 2018: Shiny Murkrow is here, no-foolin'! Pokémon Go has added Murkrow to the Shiny mix and also, at least temporarily, increased the spawn rates so you'll have an ever so slightly higher chance of catching one. And no, this isn't an April Fool's Day joke. That's the 8-bit Pokémon sprites. It doesn't look like there's an increased hatch or Shiny rate either, so quantity and luck are your only allies. Good luck! Like with all Shiny Pokémon and Shiny Raid Bosses, it's all up to random chance and the odds are never great. So, if you really want a Shiny Lugia, your only option is to Raid, Raid, Raid, until you get one. Rayquaza, master of the Legendary Weather Trio, has come, and with it the Gen 3 Dragons. Only one of those dragons can currently be found in Shiny form, though — Altaria. To get it, you'll have to catch a shiny Swablu, get 400 candy, and then hit the evolve button. While Pokemon Go's official Community Day announcement only mentioned a Pikachu with a unique move — Surf — for three hours on Saturday, January 20, 2018, the odds of catching a Shiny Pikachu with that unique move soared. It's still unknown what the base odds of encountering a Shiny Pokemon are in Pokemon Go, though it's been estimated to be 1/300 or more. For Community Day, though, the estimates came down to as low as 1/25. There's no way to tell what the next Community Day will bring, if there'll be another Shiny Pokemon featured or if the Shiny rate will be increased (buffed) again. December 21, 2017: Gen 3 wave 3 brings Shiny Snorunt, Glalie... and the potential for Froslass in Gen 4! The Water and Ice-types of Gen 3 have come out to play for the holidays and a Shiny Snorunt has come out to play with them. And that means there's now the potential not just for two, but three new Shiny Pokémon. 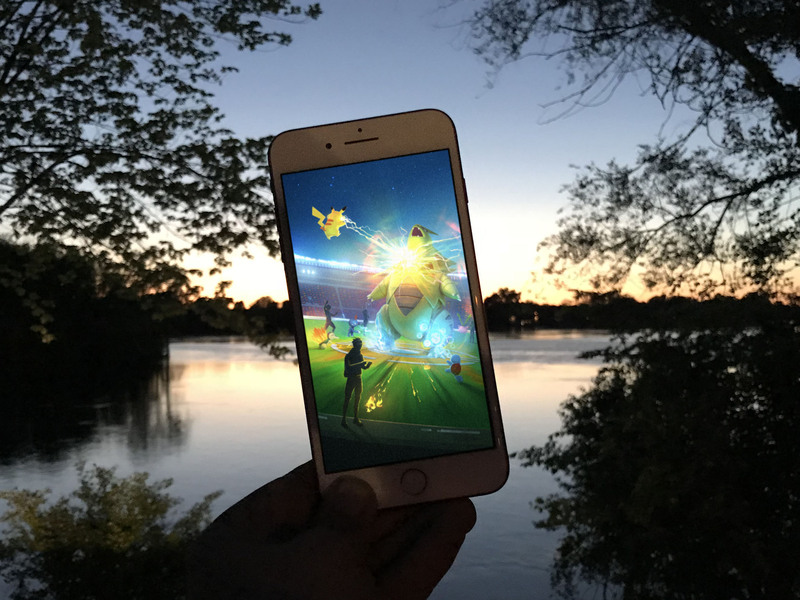 Trainers across the globe have reported sightings of golden Magikarp in the wild. These Shiny Magikarp are extremely rare, so pay close attention to the Magikarp you encounter while you're out exploring the world to make sure you don't miss the opportunity to catch one! There's only one color variant per Pokémon. Some variants are obvious, like Shiny Gyarados is red instead of blue. Others are more subtle, like Shiny Bulbasaur or Squirtle, which are the same color but slightly differents shades. That's the million Pokémon question. People have been guessing since the introduction of Shiny Magikarp and those guesses have ranged from 1/512 to 1/4096. Luckily, more research has been done to try and narrow it down. It's still purely random, so you can get a Shiny right away, or it might take you twice or three times as long. That's one of the most controversial design decisions in Pokémon Go: Unmitigated randomness for everything. There was some hope that Shiny was an attribute that, upon release, would suddenly light up existing Pokémon you'd already caught. For example, that Pokémon with perfect stats (100% IV) would suddenly be revealed as Shiny. Any Pokémon with a shiny form in the game can turn out to be Shiny when you encounter it, whether it's in the wild, from a Lure at a PokéStop, or attracted by Incense. No, sadly. Pokémon will always show up on Nearby if it's attached to a PokéStop, or Sightings if it's not, but it'll look totally normal. It's only revealed as a Shiny when you tap on it and go to the catch screen. So, if you see a normal Magikarp or Pikachu on Nearby or Sightings, don't discount it — once you tap on it, it could be a Shiny. Nope. With Ditto, once a Pokémon is determined to be Ditto, the servers make it Ditto for everyone. With Shiny, it's done on a player-by-player basis. That means you and a friend can both catch the same Magikarp, yours could turn out to be Shiny, and theirs... not. Shiny Legendaries still can't go in Gyms. Shiny versions don't count as different Pokémon, so if there's already a regular version in the Gym, you can't add your Shiny version. Of course, the Shiny badge will only show up once you've caught a Shiny version of that Pokémon. So, if you don't see it, go catch one! Totally. Shiny status, like festive hat status, stays with a Pokémon during evolution. If you get a Shiny Magikarp and decide to hit the Evolution button, you'll end up with a Shiny Gyarados. Same with Shiny Pichu or Shiny Pikachu — that's how you get Shiny Raichu. You can transfer Shiny Pokémon, but Pokémon Go will treat them as though they're automatically favorited. So, if you try to choose a Shiny Pokémon as part of a bulk transfer, you'll be prevented from doing so. If you try to transfer a Shiny Pokémon separately, you'll get a warning. What about Zapdos, isn't it Shiny? No. Strangely, Pokémon Go is using the Shiny model for Zapdos to represent all Zapdos. So, while it looks Shiny, it's only counted as the regular version. Pokémon Go has reportedly created a new model for the eventual Shiny Zapdos. OK, fine, just tell me how to catch 'em all!